In preparing this post I naturally watched The Man with a Movie Camera again. In doing so I was reminded of Berlin: Symphony of a Great City, which I had seen more recently but was made first. Due to that fact I got to thinking about my history with this film, and what if anything had changed in my perception of the film. To accurately try to capture this I must go back to the beginning to where I first heard of the film. For yes, it is still my assertion that every film does have a pre-life in the mind of the viewer. This pre-life ought not effect the perception of the film in the viewer’s mind, but can and does more often than not color it. Furthermore, if I am to accurately map the trajectory of this film through time as I see it I have to go back to my beginning with it, which is in a textbook in an introduction to film history course that tries to encapsulate Vertov’s intention with his experiment. Dziga Vertov, one of the Soviet Union’s pioneers in combining documentary footage with political commitment, experimental cinema with ideological statement, suffered similar artistic strangulation as Stalinism took hold – partly because he was a Jew, partly because his aesthetic stood for the truth, and partly because he didn’t praise Stalin enough in the last film he was allowed to make, Three Songs About Lenin (1934). Vertov began by compiling footage into weekly newreels in 1918-1919, went on to edit full-length compilation films and shoot some of his own footage in 1920-22 (he called the camera his “Kino Eye”). then invented a documentary form that went beyond the reportage of the newsreel into creative journalism: a series of shorts that were called newsreels but focused on specific topics and themes. That series, which ran from 1922 to 1925 was Kinó-Pravda (“Film truth”; the French term, in homage to Vertov is cinéma vérité). Documentary films are as old as films themselves. However, the very early documentary cinema was very literal, and would only be interested in what happened and that is all. The unseen hand theory of direction was more an iron fist. Vertov clearly had other ideas in mind, and his revolutionary ideas transcend cinema as his artful treatment of real subject may predate the same concept in prose, like In Cold Blood and the birth of creative nonfiction. Did cinema beat other arts to something? I think it may have. Next in my journey, I read some of Eisenstein’s works. He was not mum on Vertov’s works. In Film Form has some less sparkling things to say on Vertov. Or, more often, it is used simply for formalist jackstraws and unmotivated camera mischief as in Vertov’s Man with a Movie Camera. 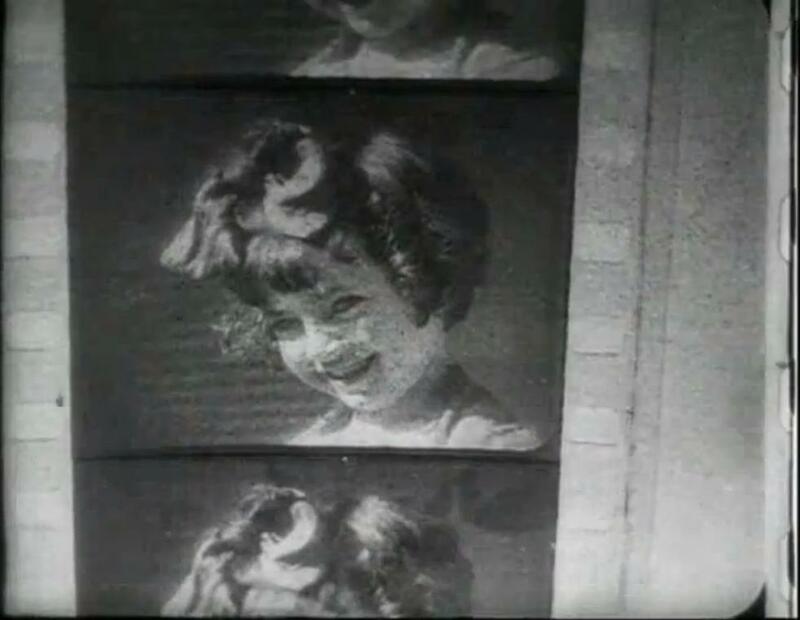 The young Soviet cinema was gathering the experience revolutionary reality, of first experiments (Vertov), of first systematic ventures (Kuleshov) in preparation for that unprecedented explosion in the latter half of the ‘twenties, when it was to become an independent, mature, original art, immediately gaining world recognition. Great filmmakers often disagree. Tarkovsky thought Eisenstein’s overemphasis on editing was misplaced, as all arts have editing; so montage, in his mind, did not define cinema, but rather time did. Art is subjective and different perspectives lead to personal and unique works. Vertov acknowledged he was experimenting in title to The Man with a Movie Camera, so as he wrote (both scripts and theory), shot and cut he too developed his own ideas. This experimental work aims at creating a truly international language of cinema based on its absolute separation from the language of theatre and literature. With that in mind the mind instantly opens upon the start of the film. Yet it’s the creativity and positively kinetic nature of the film that makes it a unique experience. Yet, despite some of Eisenstein’s grumbling of the primitive nature of the trickery it’s not the party tricks, or the editing pattern that make this film standout, but the embodiment of statement; the visual unity created through theme that’s so clearly communicated. Like everyone else in society, the man with a movie camera has a job to do — his special work being to record and reveal the work of everyone else. And like everyone else in society, the man with the movie camera likes to play. Vertov allows the playful camera to dazzle us with accelerated motion split screens, superimpositions, stop-motion animation — demystifying the cinema even as it gives the audience the visual treats it came to the theater to enjoy. Grounded in daily life as much as in the theory and practice of cinema, this brilliantly reflective documentary renders cinema and life inseparable. The only way in which the film relies on any other art-form (barring photography, of course) is in the use of music. Even upon its release it, like many other silents, was accompanied by a live orchestra. Since the silent days it has acquired many other scores to accentuate the cuts and changes in composition that this film has. 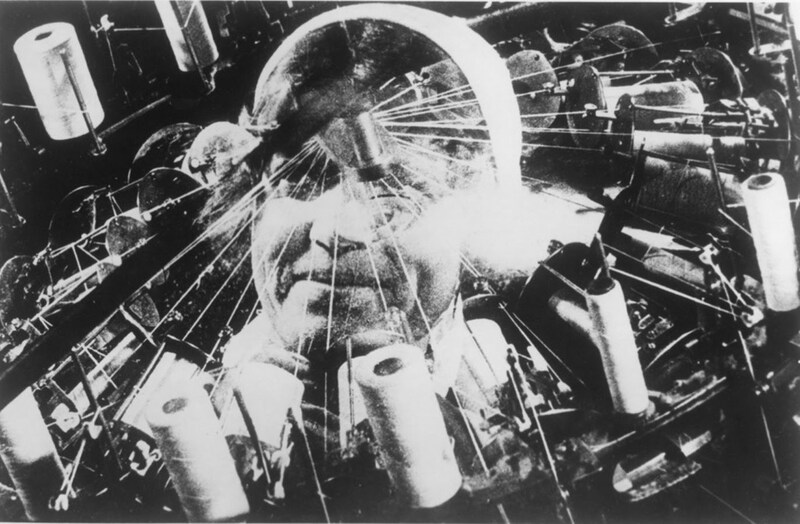 The experience of “Man With a Movie Camera” is unthinkable without the participation of music. Virtually every silent film was seen with music, if only from a single piano, accordion, or violin. The Mighty Wurlitzer, with its sound effects and different musical voices, was invented for movies. This film seeks to unshackle cinema, and I feel it did, and most importantly it continues to do so as new viewers find it. For film, which relies on motion, both within the frame and in swapping those images out, the parameters must be challenged. Film was once a new toy, vibrant, irreverent and disrespected, looked down upon, and thus somewhat more unafraid to try things on for size. Yes, certain universal narrative precepts needed to be borrowed, but film needed to find its own voice with which to speak. Experiments like this one were crucial in developing that voice not only in documentary but in narrative cinema as well. This restless creative audacity is something that ought not be lost and held onto; the more fertile imaginations; the more impressionable viewers that catch a glimpse of this film the more possibilities the future of cinema has.